Perennial flowers are perfect for Oklahoma weather. 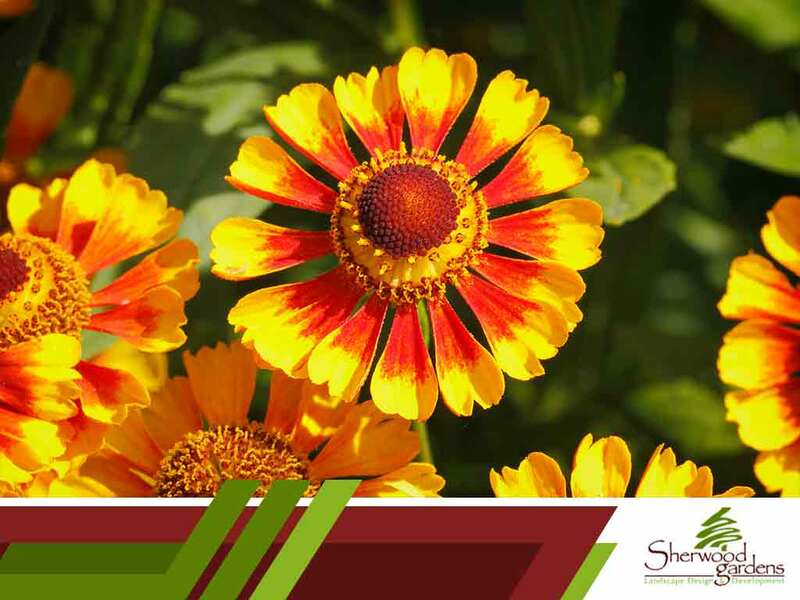 Let our landscaping experts help you get your perennial garden growing. Sherwood Gardens Landscape Design & Development presents the four perfect perennials for Oklahoma. Shade perennials thrive without sun. Most of them create colorful foliage but some will also produce flowers. They need only a moderate amount of water and well-drained soil. Japanese Anemones are outstanding plants for late summer and fall. The branching stems of poppy-like flowers are superb for cutting. They grow anywhere from about two to four feet tall. Acanthus is a large plant with glossy green leaves and tall spikes of flowers. Often grown for their foliage alone, their flowers are also quite nice. Also called Bear’s breeches, they are always considered as architectural plants and grow from one to three feet tall. Summer perennials color the landscape in the hot days of summer. Most bloom in June into October for a continuous sequence of bloom. They are easy to grow, tough, durable and tolerate a wide range of conditions. Sherwood Gardens Landscape Design & Development can provide these summer perennials. Your landscaper can make your garden colorful with them. This upright shrub produces beautiful double flowers from summer through fall. They mature at eight feet by four feet wide. They come in many different colors. Common ones include blue-purple blueberry, pink strawberry, raspberry, as well as red & pink peppermint. This is a miniature and vigorous butterfly bush that reaches only two to three feet tall and wide. It has blue flower panicles from summer to frost season. Its small size is perfect for containers or mixed borders. Sherwood Gardens Landscape Design & Development also offers outdoor lighting services. Come to us for all your landscaping needs. We cater to businesses and residents in Norman, OK, and other areas of Oklahoma. Call us at (405) 212-5113 for your free, no-obligation consultation.